VANCOUVER -- The clock is ticking for Canada to decide whether to proceed with a high-profile extradition case involving a senior executive of Huawei Technologies, which has touched off furor in diplomatic relations with China. 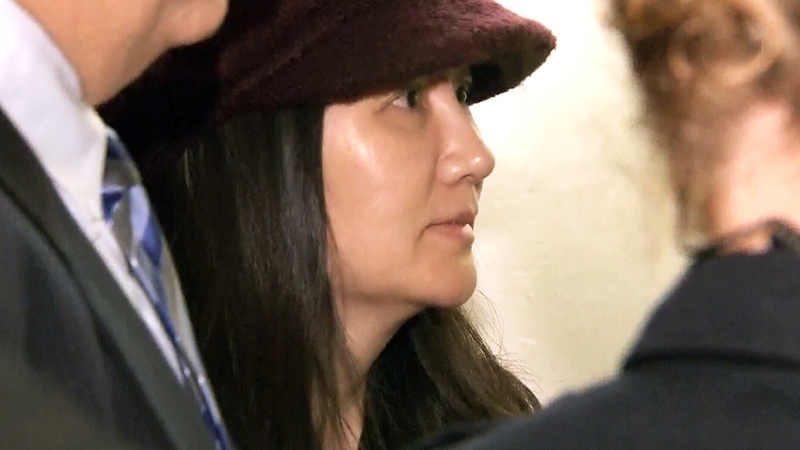 A British Columbia court heard Tuesday that the United States has issued a formal extradition request for Meng Wanzhou, the company's chief financial officer and daughter of its founder. Meng was arrested Dec. 1 at Vancouver's airport on a request from U.S. authorities. Canada's Department of Justice now has until March 1 to determine whether to issue an authority to proceed, which authorizes an extradition hearing. If Canada issues that authority, Meng would next appear in court March 6 and hearing dates would be set. "I have no idea whether we're looking at months or years," he said. "At this point, that's completely unknown. It will become clearer as time progresses." "By the time all the individual's rights are exhausted they can take a long time," he added. "I only will have to make a decision at the end of the process, if and only if there is an actual extradition order. I would have the final say in executing that order, yes." The company's U.S. branch is also accused of stealing trade secrets and equipment from cellphone provider T-Mobile USA. Peck is known for acting as an independent prosecutor for Ontario in the dangerous driving and negligence case against former attorney general Michael Bryant in the death of a cyclist, in which Crown prosecutors ultimately withdrew the charges. He later worked as a special prosecutor for B.C. in the death of Robert Dziekanski, a Polish immigrant who died after police stunned him with a Taser in Vancouver's airport. China's foreign ministry said in a statement Tuesday that the U.S. is using its national power to "tarnish the image of and crack down on specific Chinese companies in an attempt to strangle their lawful and legitimate operations." "We once again urge the U.S. side to immediately drop its arrest warrant and formal extradition request for Ms. Meng Wanzhou," it said. "We also urge the Canadian side to take China's solemn position seriously, immediately release Ms. Meng Wanzhou and ensure her lawful and legitimate rights and interests, and stop pulling the chestnuts out of the fire for the U.S."
Members of the U.S. Senate intelligence committee were briefed Tuesday about global counterintelligence perils. The Huawei case was mentioned only indirectly, but intelligence officials described China's "ongoing quest" for global superiority. "China's pursuit of intellectual property, sensitive research and development plans and U.S. personal data remains a significant threat to the U.S. government and the private sector," said Dan Coats, the U.S. director of national intelligence. -- With files from Mia Rabson and Mike Blanchfield in Ottawa and James McCarten in Washington, D.C.
Huawei chief financial officer Meng Wanzhou, arrives at the B.C. Supreme Court in Vancouver, on Tuesday, Jan. 29, 2019.